Dave Durst, P.E. has been a partner and senior structural engineer at Durst & Taylor Structural Engineering, LLC (DTSE) since September of 2015. Since graduating from Penn State with a B.S. 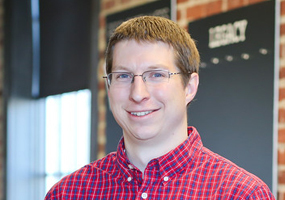 in Civil Engineering in 2005, Dave has served as the lead structural engineer and project manager for numerous structural, forensic, steel connection design, and multi-discipline projects. These projects have included manufacturing facilities, schools, corporate and retail office structures, churches, single and multi-family residential structures, building renovations, nursing homes, and wastewater treatment plants. 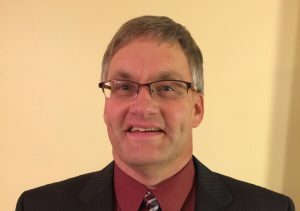 Dave is the chair of Penn State Harrisburg’s Civil Engineering Advisory Board and regularly serves as a guest lecturer for the program’s senior capstone design class. He strives to provide excellent customer service on all of his projects by focusing on accuracy, efficiency, and timeliness. Nevin Taylor, P.E., has been the founding partner and senior structural engineer at Durst & Taylor Structural Engineering, LLC since September 2012. Having graduated from Penn State with a B.S. in Civil Engineering in 1988, Nevin has been the lead structural engineer and project manager for and extensive array of projects in commercial, industrial, residential, educational, environmental, senior living, transit, and telecommunication sectors, with multiple assignments in each. Project types have included designs for new buildings as well as additions, renovations, and rehabilitations; comprehensive inspections and assessments; and feasibility studies and assessments. At prior employments, Nevin has been a senior mentor to younger engineering staff members. As founding partner, Nevin takes special interest in DTSE’s marketing efforts.